The University of the Western Cape (UWC) is a national university, alert to its African and international context as it strives to be a place of quality, a place to grow. It is committed to excellence in teaching, learning and research, to nurturing the cultural diversity of South Africa, and to responding in critical and creative ways to the needs of a society in transition. 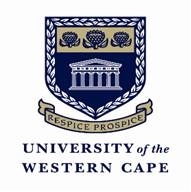 University of the Western Cape is aware of a distinctive academic role in helping build an equitable and dynamic society. In particular it aims to: advance and protect the independence of the academic enterprise. Design curricular and research programmes appropriate to its southern African context. Further global perspectives among its staff and students, thereby strengthening intellectual life and contributing to South Africa's reintegration in the world community.